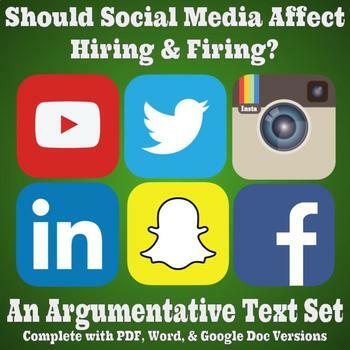 This three-passage text set is accompanied by an argumentative prompt regarding the topic of the use of social media in hiring and firing practices in the workplace. It's a perfect assignment to engage students, especially as students start to become more aware of the significance of the role of social media in the world around us. While many students might have personal opinions, this assignment will strengthen your students experience with the idea of using the text to support their writing, rather than their own personal experiences, since that is what is required. Modeled after AIR Testing, which is used in numerous states across the country, it would also fit well into a PARCC simulation. The text set, itself, is 5-1/2 pages long. CELEBRATE your students' birthdays with this adorable display! The product includes 12 different emoji faces for each month of the year. The name of the month is printed in their bow ties (super cute! );12 coordinating birthday hats. Each is editable so that you can type the students' names within each hat. (For example, the names of your October birthday boys and girls get printed within the hat - with the exact dates of their birthdays. The same goes for all months of the year. 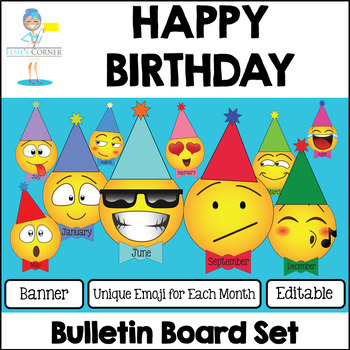 ); Bulletin Board banners in text message templates that read: Happy Birthday....to an awesome bunch! ; and Blank iphones for any additional information that you want to add to your bulletin board, such as to display the class name or number. This product is sure to add some modern pizzazz to your classroom! 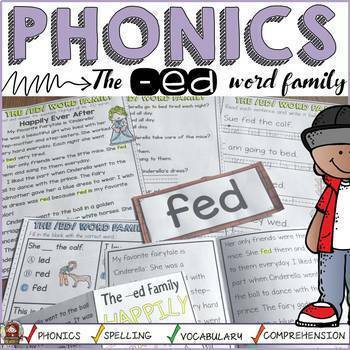 This –ed word family pack will help your students practice reading –ed word family words and key sight words. The interactive print-n-go sheets, reading booklet, -ed word family wheel, fluency readers and –ed word family house will help to not just build phonics and phonemic awareness skills, but will also target key vocabulary, spelling, and comprehension skills. A full list of included items is provided in the item description on the linked TpT page, so check it out. 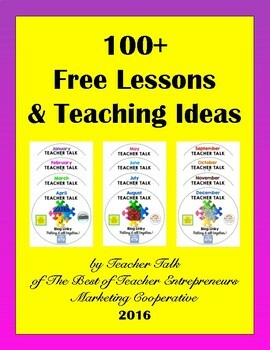 Enjoy 100+ free lessons and teaching ideas from members of Teacher Talk who are a part of The Best of Teacher Entrepreneurs Marketing Cooperative. Teacher Talk members write educational blog posts each month. This free eBook contains all of the links of the 2016 Teacher Talk blog posts. If you would like to join Teacher Talk and drive traffic to your personal blog and Teachers Pay Teachers store, go to The Best of Teacher Entrepreneurs Marketing Cooperative for more information. See the item's description for a month-by-month listing of all the valuable lessons and ideas you can find as part of this free item! 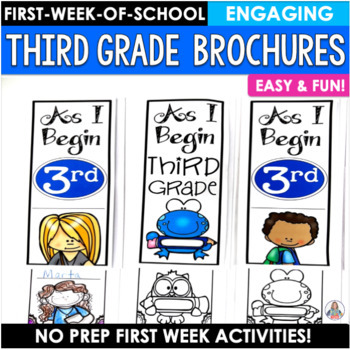 Back to School Brochures for third grade will help you get to know your students. Perfect for the first few days of school and for Back-to-School Night, the brochure is both informative and reflective. Easy-to-use and great for your sub tub.